Few things put a bigger smile on my face than hearing the success stories of American exporters. During my trip to Youngstown, Ohio, as part of the “build it here, sell it everywhere” manufacturing campaign, I heard many. Along with Senator Sherrod Brown (D-OH), Congressman Tim Ryan (D-OH), and Export-Import Bank Chairman Fred Hochberg, I attended the TechBelt Export Summitwith regional business owners to discuss the Commerce Department’s latest initiatives, highlight the assistance we offer American exporters, and talk about how we are working to strengthen the U.S. economy. One focus of my remarks was American manufacturing, which has been a cornerstone of the American economy for generations. It is not only a source of high-paying jobs, it is also the driving force behind much innovation. Did you know that 70 percent of private sector research happens within the manufacturing industry? Or that nearly 90 percent of patents begin with manufacturing? Maintaining the health of this industry is crucial to job growth and economic progress; it’s also the lynchpin in keeping our economy competitive in the world. However, if our products are to remain the best in the world, made by the highest-skilled workers, and led by the top researchers, then we’ve got to help businesses sell them all over the world. Ninety-five percent of the world’s consumers live outside our borders and long-term economic growth hinges upon reaching these consumers. And that begins with ensuring that our businesses have access to the resources they need. A main focus of the “build it here, sell it everywhere” campaign has been on outreach and awareness. Manufactures may want to expand, but aren’t familiar with the process. To assist businesses in exporting, the Commerce Department has staff located in more than 105 cities; they help connect domestic companies to partners and services all over the world. There is a wealth of resources just waiting to be tapped. And let’s not forget the hundreds of Commercial Service Officers, State Department representatives, Advocacy Centers, and U.S. Embassies abroad, all of whom have made American exports a priority. The full weight of the Department of Commerce is behind this effort. Don’t know where to start? I urge everyone to reach out to these local offices as your first step. We can facilitate everything from meetings with potential foreign partners to financing options. Please visit our website at www.export.gov to connect with those resources and learn more about exporting in general. We even have a dedicated tariff search tool to help you identify potential markets where we have negotiated trade agreeements. As I said before, few things give me more gratification than hearing the success stories of American exporters. Youngstown, Ohio, and the surrounding region, is an ideal example of this growth. 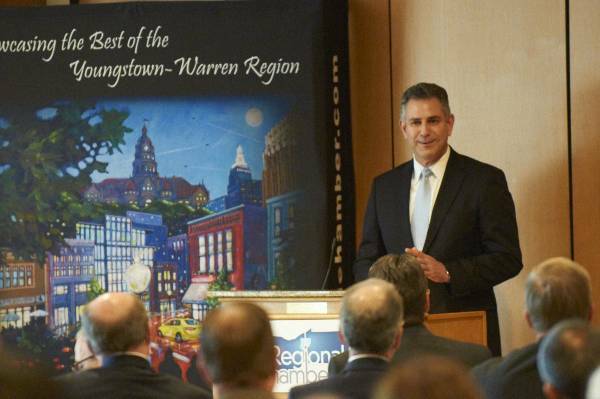 According to the Brookings Institution, the Youngstown-Warren metropolitan area experienced a 30 percent growth in exports from 2009 to 2010, the highest rate of 100 metropolitan areas across the United States. Engine Alliance, LLC, a joint venture between General Electric Company and Pratt & Whitney, signed contracts in February to provide 45 new jet engines plus a 15-year Fleet Management Agreement to Etihad Airways in the United Arab Emirates. Engine Alliance has manufacturing facilities in Ohio. The government of Panama recently awarded CSA Holdings of Cincinnati a contract to rehabilitate an important bridge over the Panama Canal. And this kind of success is happening around the country, as exports continue to be a bright spot in the U.S. economy. Case in point: in 2011, the total value of U.S. exports reached a record-setting $2.1 trillion. That’s nearly 10 million vital jobs supported in a time of global economic uncertainty. Increasing exports is a national priority we cannot afford to lose focus on. That is why the International Trade Administration is committed to introducing “Made in America” products into markets all over the world, and helping existing exporters expand into new markets. Let’s build it here, and sell it everywhere.